The main joy of keeping tropical plants is not so much the flowers they produce but rather the beautiful leaves they possess. Some are plain and others are showy. 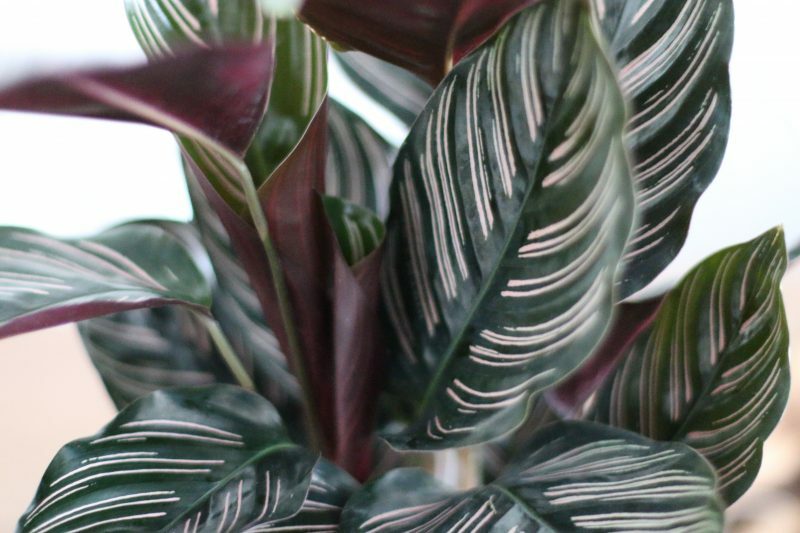 The Calathea genus is one of such showy plants. C. ornata has pale pink stripes that turn white with age. It looks as if gentle strokes of a pink pin-pointed pen was passed on the leaves. C. insignis (aka C. lancifolia) also known as rattle snake plant actually reminds me of leaves painted on a leaf. 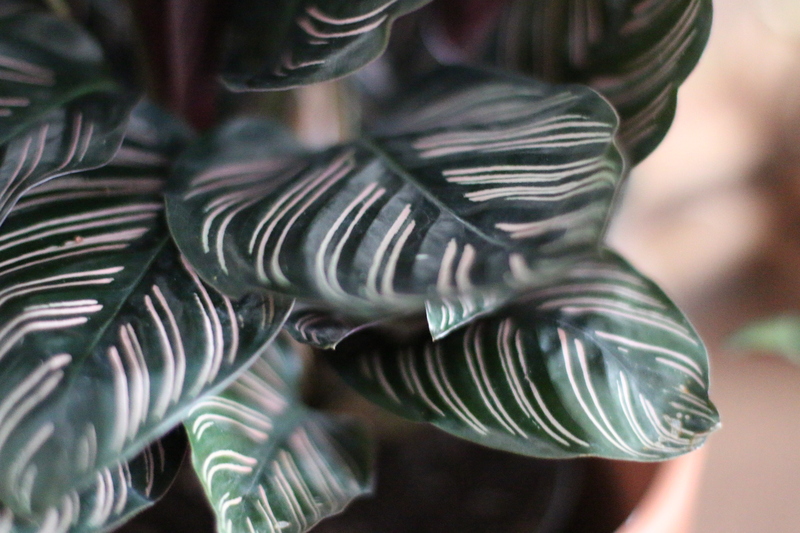 There are many more Calathea species and they all have intricate designs on their leaves that make them hard to ignore…even though I know the dirty truth about them. The truth… I don’t think they make good houseplants. Whhaaattttt??!! You didn’t just say That!!!. I did, and I’ll tell you why. I have had only one run in with Calathea and it was not pretty. 3 years ago I purchased a C. roseopicta and I was in love. I researched thoroughly on it and knew it was a very demanding plant but I thought I could keep up with its demands. 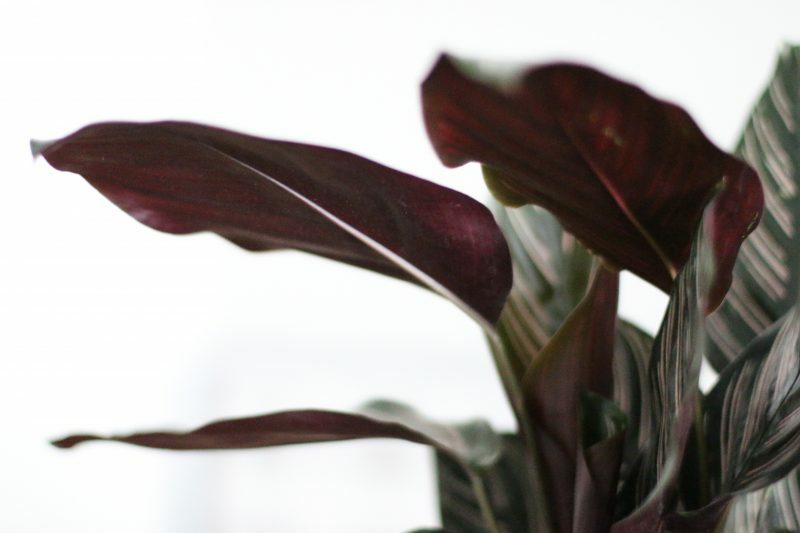 See, I was very familiar with its cousin – Maranta sp. 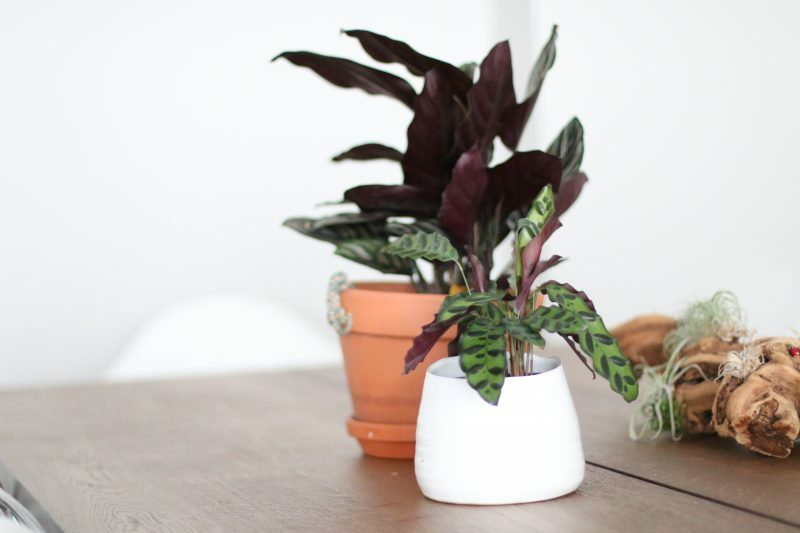 – and thought since I had been able to keep them successfully, Calathea wouldn’t be a problem. I took pictures of it (below) while preparing for a post but something horrible happened before I got around to it. Well, If I considered Maranta leuconeura var. 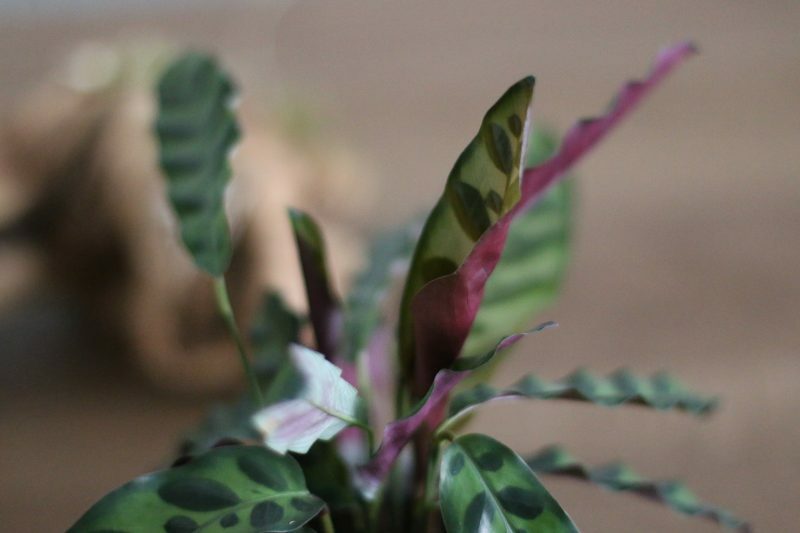 erythroneura (aka prayer plant or herringbone plant) a Princess, then Calathea is the Diva Queen herself. First of all I was a brand new plant lover (not the best plant for a newbie in my opinion) and all the research I did could not help me with its care. The plant seemed to do well for a while and then right before my eyes I saw the leaves crumbling and turning brown. Not brown dry and crispy but brown and wet. I don’t even remember the details because I was so traumatized by the whole ordeal I think I have blocked the experience from my memory. I only remember vaguely, I tried everything to keep it alive. Move it to a bright window, then a not so bright corner, underwater, water… nothing. It became one big wet mush. I don’t remember seeing any pests and I honestly can’t say what I did wrong. Maybe too much water? Was it root rot? Or maybe it already was diseased when I got it and it just succumbed overtime? I will never know. Traumatized? Surely you are being overdramatic you say. Nope, I’m not. I have not been able to bring another C. ornata home since that incident. I see them everywhere, and whenever I see them at my local plant shop, I only eye it briefly from afar. True story. 3 weeks ago, I picked one up and placed it in my cart at Ikea after about 5 minutes of contemplating whether to get it or not. Well, I got to the cashier, took one long hard look at the plant and gently removed it from the cart. It did not go home with me. If that is not a result of being traumatized from my earlier experience I don’t know what is. I know, I know. There will be a few of you who will tell me how successful you have been at keeping this plant over the years. And to that I say “well done” and please please please share survival tips down below. Well, so fast forward to present day. I may have sworn off C. roseopicta but just like any other stubborn, plant enthusiast, I couldn’t resist the leaves of C.insignis and C. ornata. So here I am, once again finding myself falling in love with them no matter how short-lived this present affair will be. 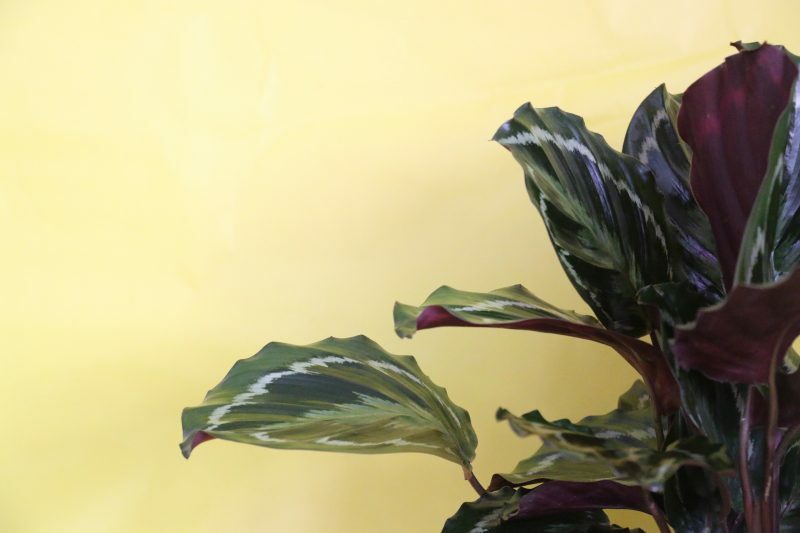 Calatheas like bright, indirect light. No direct sun. 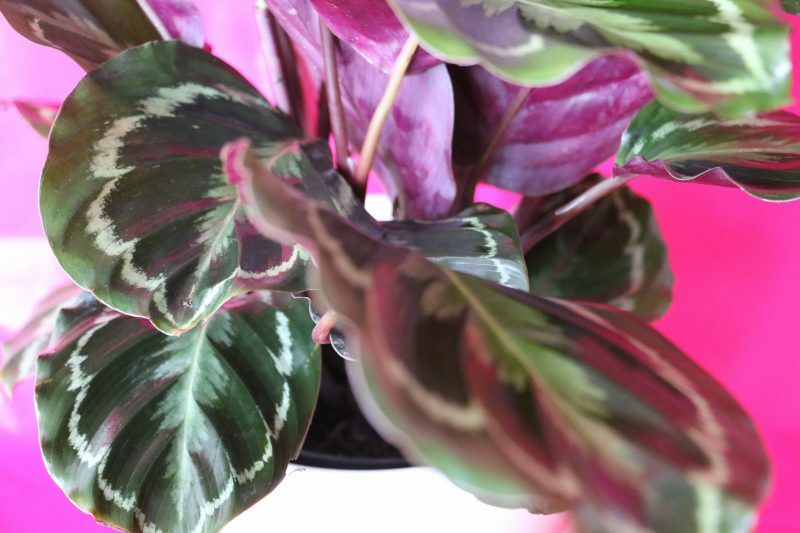 I know for my maranta plant, too much bright light causes faded leaves which I assume is the same for Calatheas. It likes moist (but not soggy) soil. 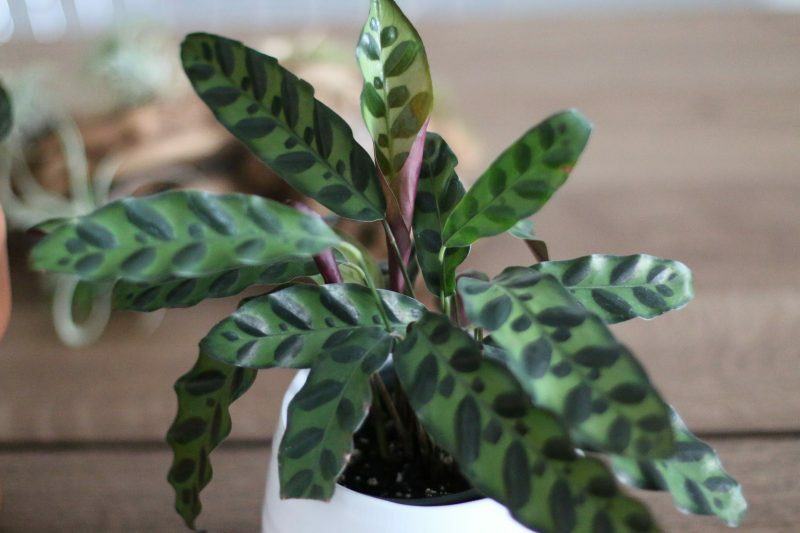 What makes this plant so hard at keeping in an indoor environment is its humidity needs. It requires much much more than I can provide. In the winter, the humidity in my home is in the low 20s and now its hovering around 40-50% which is good but not great. I used a humidifier and the hygrometer went from 34% to 92% just around the plants. This might be just the thing I need to keep them alive longer (short of an actual greenhouse). 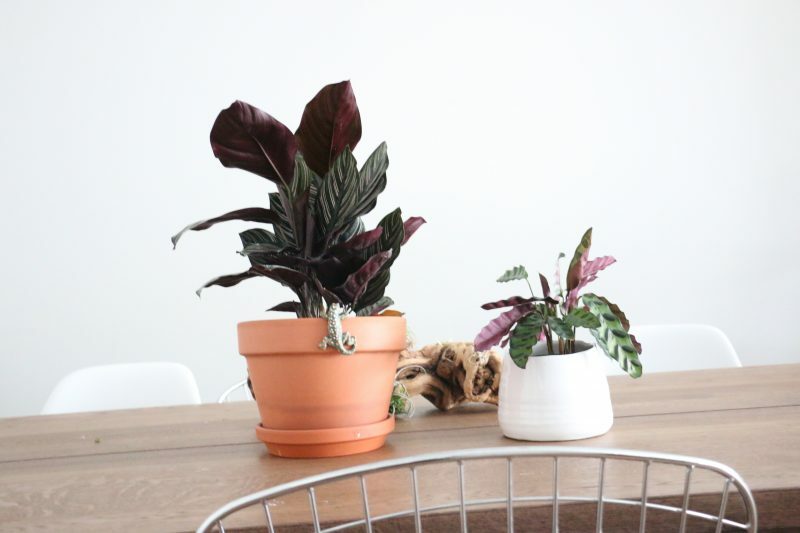 Do any of you use humidifiers for these plants? Please share care tips below, I really want these plants to thrive. Hi Barbara! 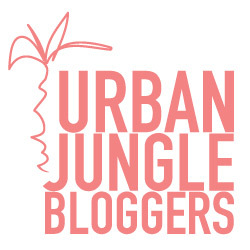 Again, what a great post from your blog. Do you think that I could use a humidifier for a Venus Flytrap? You could, however putting the fly trap in a terrarium would be more effective. All the best. hi again from Sharon. I forgot to mention about the humidifiers. I use a small ultrasonic humidifier for my prayer plants. They seem to like the extra humidity a lot. Thanks Sharon. I was thinking of getting a small humidifier dedicated for just plants at the end of winter, but summer’s humidity seems to be treating them well. I might get one though once summer is over (Yikes! Summer is almost over 🙁 ). 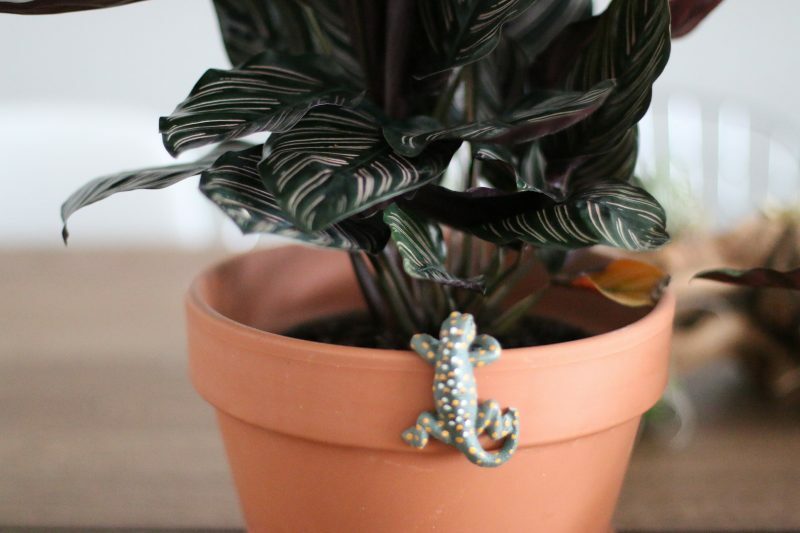 I am a houseplant addict myself. I have a few calatheas and marantas. I live in Ohio and the summers here tend to be humid, but winters are cold here. 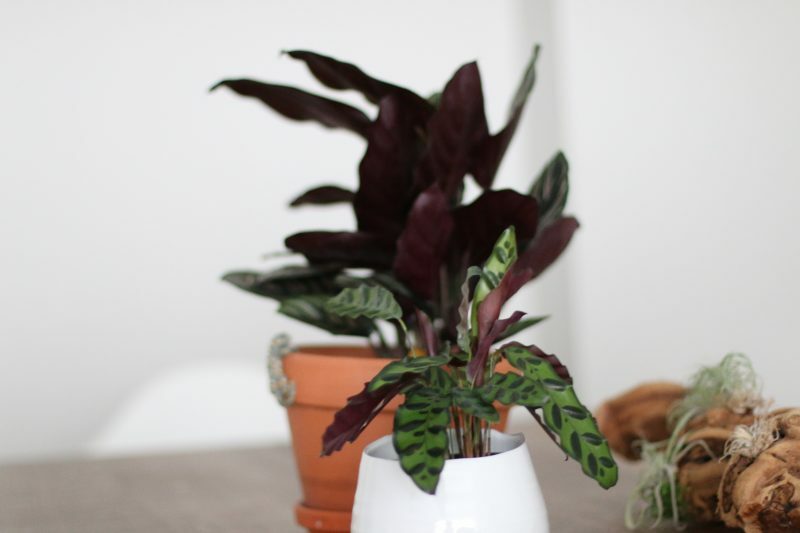 In winter, dry indoor central heating is very hard on calatheas and maranta prayer plants. I saw a lady from Montana on YouTube with a prayer plant that she kept under a clear plastic cake dome for the entire winter. It was very beautiful and it had no brown tips or edges. I am thinking about using a cake dome for my prayer plants later on in the Fall. You may want to try using a clear cake dome for your calatheas & marantas. You can buy them online at webrestaurantstore.com or google “clear cake dome”. 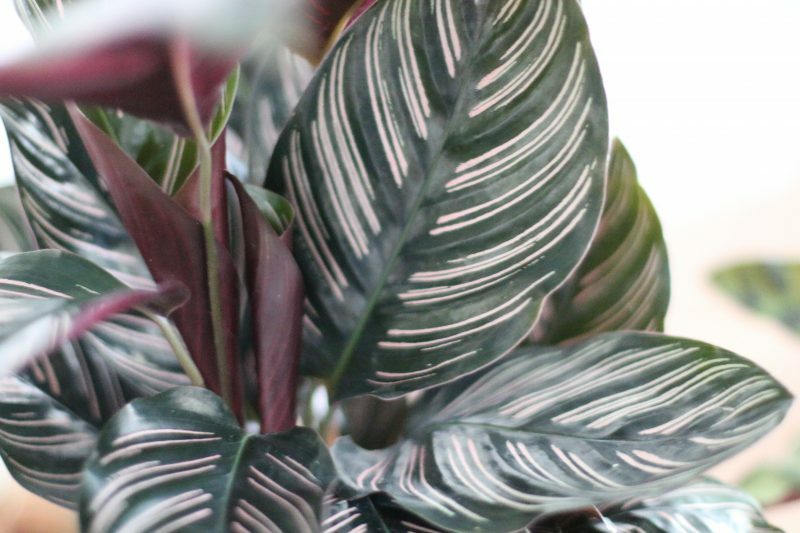 Also calatheas and marantas do better in north or east facing windows. take care. I’ve had the same fate with C. roseopicta. However the rattle snake variety seem to be doing well.